My dear, I was delighted to be able to organise one or two surprises for you this weekend. I wanted to say thank you for your devotion to our work. It is important for you to spend time with family and special friends this holiday weekend. You need to relax and put work aside for a few hours. One is the number of God’s creations, but One is not in any way limiting — it is infinite. This is a very complex concept for you to grasp let alone make any sense of; in fact, it is rather a paradox while you remain constrained by your physical bodies, so don’t even try — it is quite unnecessary. Just accept that it is so. Surrender to it and know that you are not being misled. Layers of energetic clouds are being removed from the Inner Gaia at this moment. The process is coordinated with the humanity so to allow as many opportunities for Higher Awareness, prior to the end date. “End date” being flexible as required. Post-layer-removal brings clarity of Higher Thought, Higher Purpose, Higher Awareness. And will feel to the Higher (and 3D) Senses as a clear, bright sky, and cool breeze. 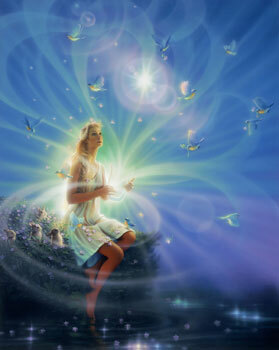 Gaia Ascension Process is in full movement at this time. We encourage releasing of all prior concepts regarding the nature of Ascension. “Allowing” and “accepting” and “conscious participating” are key.